Yay to the One-Drawer Wardrobe! A recurring theme since I became pregnant a year and a half ago has been frustration with my wardrobe. Some of the frustration has been because of my changing body. Not only did I have to deal with my deeply ingrained cultural ideal of fat being unattractive after gaining about fifty pounds, but I also did not feel like myself. When I looked in the mirror, the woman I saw did not seem like me. When I did yoga or went for a walk, my aching joints and difficulty breathing did not feel like me. Besides the physical changes, I was dealing with significant changes in my societal role. I was about to be (and then I was… now I am) a mother. I was also turning 30. I had only gotten married a year earlier, but I was feeling settled and I found that my appearance clashed with my internal identity. Rather, I found that I had no clue who I was or who I was becoming. Mother. Wife. Expat. These were all new to me. My short hair, shaved on one side and bleached blonde for the easy addition of blues and greens no longer felt right. My face was too round for that look, and besides, the unborn baby didn’t need bleach in its blood. Short skirts, midriff exposing tank tops, tight jeans, and heels. These all had to be put away as my breasts, thighs, and finally stomach and feet, expanded during my pregnancy. Perhaps some would fit me now, but heels don’t go with baby wearing and my breasts are still two sizes bigger than they were. Plus, even though my body is starting to look similar to how it did 18 months ago, I feel much differently. All of this has lead to me stressing out about my wardrobe and actually getting anxious and a little depressed about my appearance. When we moved to Gabrovo I did a huge overhaul of my wardrobe, and I tossed a lot of stuff. Now, two months later, I am extremely happy with my limited wardrobe. What I have at the moment, fits into a single, small dresser drawer. Okay, it is a bit cramped, so I share a second half of a dresser drawer with Nikola, but it COULD fit in that drawer. It consists of about 4 shirts, one pair of jeans, some leggings and wool undershirts, and a couple of t-shirts. One pair of boots. I think what I love most about this, and find so freeing, is that there is so little choice on what to wear. Is it clean? Then I wear it. I can reach into my drawer and pull out anything. There is no hemming and hawing over matching and what looks good. It allows me to stop focusing on my appearance and the dissonance in my identity at the moment and work on actually rebuilding my identity by doing the things I love- hiking, spending time with Peatuk, writing… rather than fussing about how I look while not doing them. 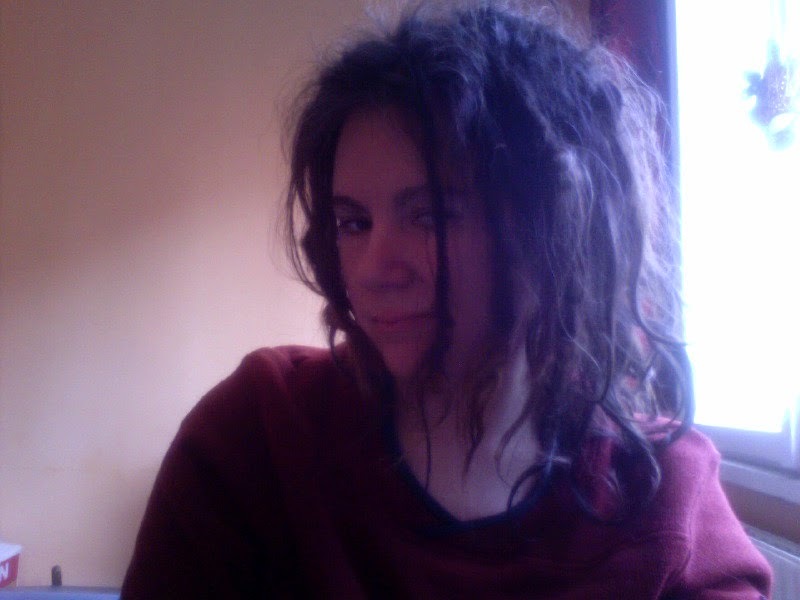 The fact that my dreads are starting to grow up and look like actual dreads instead of painful little messes probably also helps with this semi-identity crisis…. I kept reading stuff about minimalist wardrobes and I kept stopping myself from doing it because I didn’t have the necessary basics, and I didn’t know what I wanted to look like, so I didn’t want to lock myself into one look. Now that I have done it by accident, I can definitely agree with all of the advice. There is something absolutely freeing about owning just a few outfits and nothing more. It isn’t quite an f-you to societal norms of beauty that I thought it would feel like, but it does streamline my getting ready in the morning and doing laundry. perhaps the best part about all of this is that nothing was intentional. I think I tend to focus so much on intentionality that I often skip doing anything, afraid of what it might mean. Now, it is just done and I realize that it means absolutely nothing. And I am happy.